Suite poolside caldera view (Double bed ) 21.sq.m in size with bathroom with shower,telephone, AC, Radio-Tape-CD player, SAT-TV, hair-dryer, WLAN and balcony/terrace poolside offering caldera, sea and volcano view. Suite private balcony caldera view (Double or Twin)25.sq.m in size are uniquely decorated following luxurious Cycladic style. They come with satellite TV, air conditioning, and hairdryer. 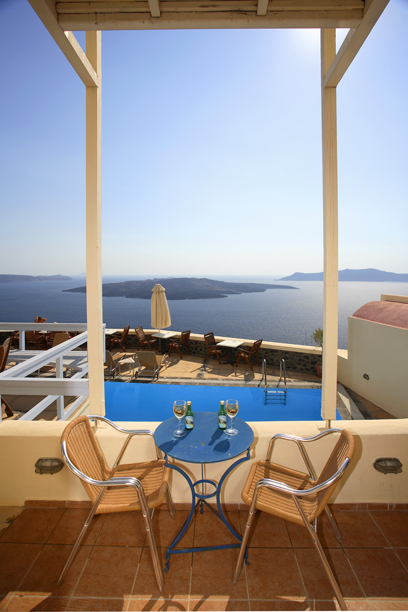 Suites offer private balcony with panoramic sea and caldera views. 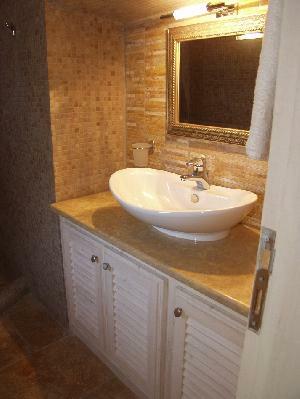 Suite with Jacuzzi Bathroom (Double bed ) 30 sq.m. 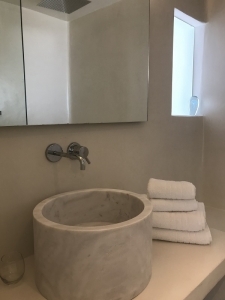 in size, located in the top floor of the Hotel with sofa, fully equipped kitchenette,telephone, AC, SAT-TV, hairdryer,WLAN Jacuzzi bathroom and large private balcony offering stunning caldera volcano view. Grand Suite with 1 Jacuzzi Bathroom + 1 shower bathroom, 1 Double bedroom + 2 sofa beds, 65 sq.m. in size, with fully equipped kitchenette, telephone, AC, Radio-Tape-CD-player, SAT-TV,hair-dryer, WLAN and big terrace offering stunning caldera volcano view. 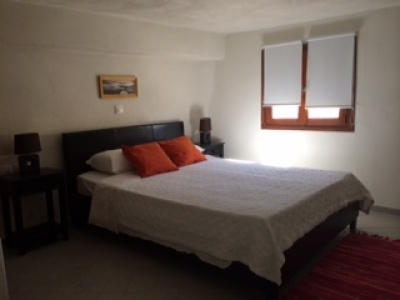 Suite (Double bed ) 30 sq.m. with sofa, fully equipped kitchenette,bathroom with tube, telephone, AC, SAT-TV,hair-dryer, WLAN and private balcony offering sea caldera and volcano view. 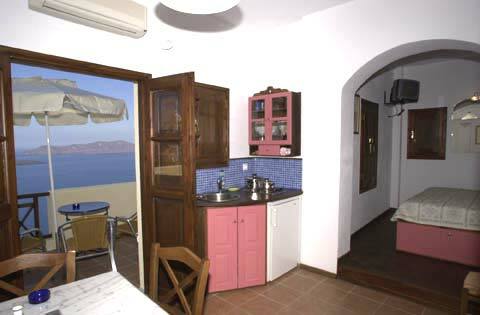 STANDARD STUDIO CALDERA VIEW (Double bed ) 21 sq.m. 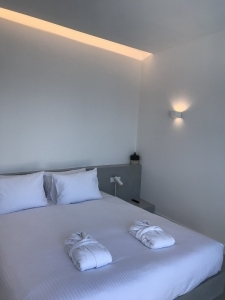 in size, located in the upper floors of the hotel, with fully equipped kitchenette,AC, SAT-TV, hair-dryer,WLAN, bathroom with shower and shared balcony offering sea, caldera and volcano view. 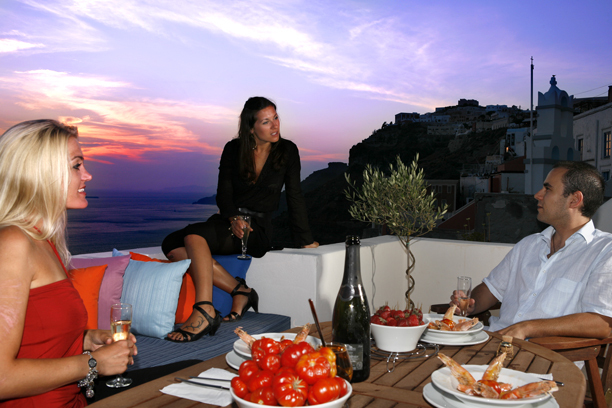 Panorama Studios and Suites located in Fira on the edge of the Caldera offering breathtaking views of the Volcanic Islets and Thirassia.The Propperty offers its guests a tranquil romantic settings whilst within walking distance of all of Fira has to offer. There are 14 studios consisting of approximately 25sq.meters each. and four luxury suites complete with Jacuzzi bath tub. Other facilities include swimming pool and pool bar. Reception service & daily maid service. Wireless Internet access and CD-tape-radio player. No fee charged if cancelled 14 days before arrival date. Cancelled within 14 days before arrival will result in the 50% of total reservation charged. In case of Non Show, same day cancellation or early departure 100% of reservation will be charged. 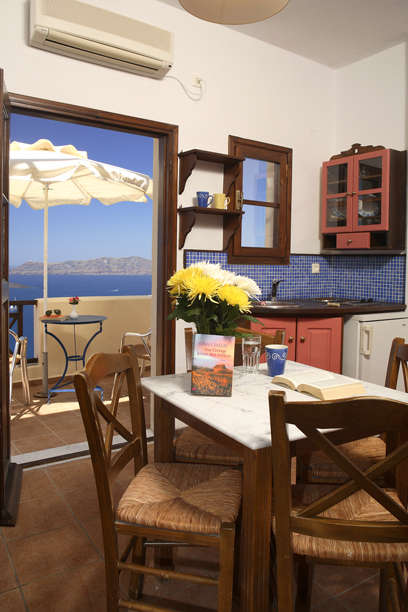 Panorama suites is located in Fira on the Caldera. The view of the caldera is breathtaking, one of the most splendid ever. 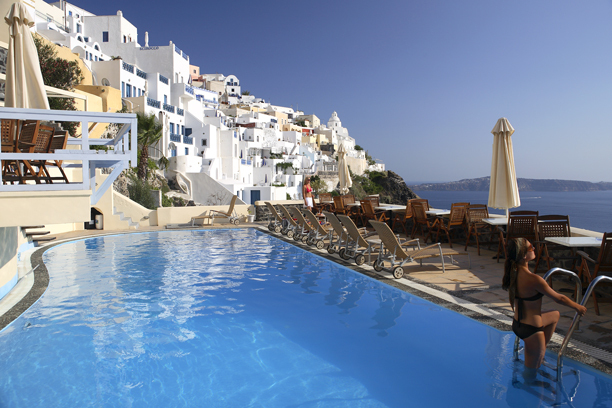 Located in the heart of Fira, the hotel is only steps away from all the restaurants, clubs, bars and shopping center. Fira is the capital city of the island nowadays known as Santorini. This island is part of the archipelago of the Cyclades, in Greece, and one of the most interesting ones from a historic and archaeological point of view. Besides this, Santorini and Fira offer beautiful landscapes and many amazing beaches, turning this destination into an ideal one for tourists of all ages and preferences. Lovely room, pool and breakfasts. Could not possibly sleep with blowing air conditioning right over bed (even on low) and so had door open - then you need earplugs for not very loud but not consistent noise from the nightclubs further along and up the cliff. Second lift did not always work on way down, but fortunately did on ascents ! Sloping shelf in shower room meant my husband nearly lost his glasses down the loo ! Great Location & renovated rooms. We loved the service and location and the newly renovated rooms are great. But it is noisy at the top level rooms due to new night club/restaurants that have opened up. 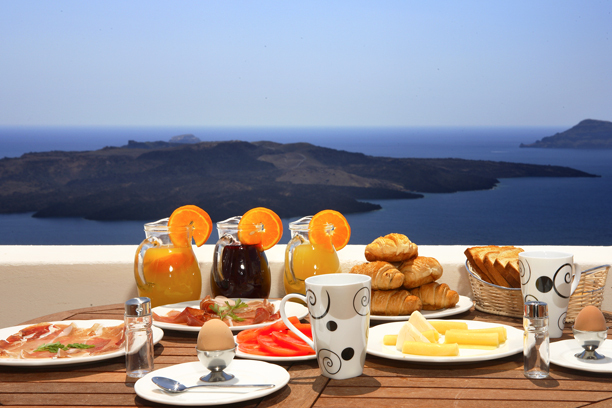 Obviously the caldera view is already 10 of 5 points in terms of location, the same goes for the poolside breakfast. We were upgrade to a suite "room", which also made us happy. Staff was consistently friendly and helpful with everything and helped in getting rental vehicles and tours etc. The room was modern and well kept. This hotel is in the upper price range, but it was money well spent. We'd gladly be back. Hint: If you want more privacy, check beforehand for a room that isn't on the pool level. We enjoyed each single minute of our stay. The view from our balcony was breathtaking und unforgetable. Breakfast wonderful. Service great. Staff extremely friendly and helpful. We would go back to this hotel and can highly recommend it. I gave everything note 1 (excellent), the best one can give. A very good location with a Magical view. 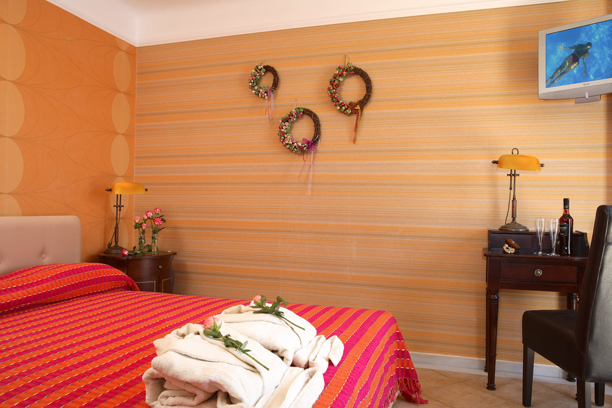 The honey moon room is particularly confortable and beautifull. The pool is very pleasant. The staff is very smiley and efficient. The breakfast included could be more qualitative as compared as the others clients. Great service & helpful staff and great view. We are not fit enough to climb 150 steep stairs down to pool. For that reason we wouldn't stay again. Stayed 2 nights, enjoyed the view and wonderful breakfast at V lounge. Quite some steps to manage if staying a lower level. Hotel is very well located with shopping street right outside and many great eateries within short walking distance. We stayed here for 2 nights and we thought it was great. Great breakfast, clean room, friendly staff etc. The view from our room (with balcony) is probably the best I've ever seen in my life and there is a pool. To top it off it is right in the center of Fira. If you don't like this hotel then you must be insane. The only issue is if you are old there are a lot of stairs to get to the pool. I can't wait to go back! I would definitely recommend a stay here in Fira. 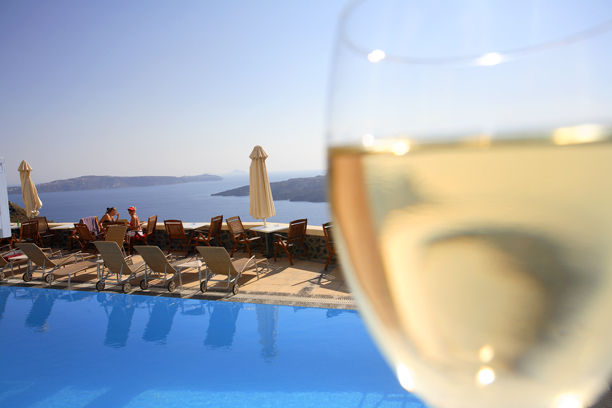 This hotel is an excellent option in Thira, santorini. Location is superb to see the sunset, and above all the staff were wonderful. All of them really kind and helpful. Our only observations are that our bed was not the most comfortable, and the sheets felt a bit rough. The access to the swimming pool was also a long stair way down. However, all of these were only minor details. After several days and nights here, I still gasped with delight every time I stepped onto the balcony and saw the beautiful view. The location was perfect - right in the center of everything. (I should note that Fira is a city full of steps and the city is not a good choice if you have difficulty walking or climbing stairs). Our room was wonderful and comfortable. The pool was clean, refreshing and never crowded. We had originally planned to watch the sunsets on our private balcony but often spent them at the pool, sipping on margaritas from the pool bar. I can't say enough about how welcome Alex (one of the employees from the pool bar) made us feel. His kindness and hospitality made a huge difference in our stay. Thank you, Alex! When can we return? Please save us a room! We'll be back! Stayed four nights in total. The view from the balcony was excellent, the caldera, ocean, pool, cruise ships below, chairlift and donkey trail activity. It was great to watch the sunset in comfort. What balcony you get seemed to vary a bit due to the layout of the building. The 107 steps to the room worked out the leg muscles but was more than worth it. Would stay again for sure.